Pendula Sastra ( Jyothisha) Consultation. We are Specialist in Pendula Sastra (Jyothisha) Consultation in any kind of human problems, tracing properties with Pendulam, Vasthu , Pranic healing, spiritual healing, Crystal healing, and Distant healing. 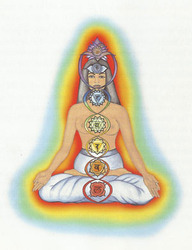 Chakra Therapy is done by using pendulum. All the negative energies of living and non living beings can be eliminated through chakra using pendulum and chakra healing. Positive energy from the universal power is received and can make one’s body physically, mentally, spiritually and socially fit. 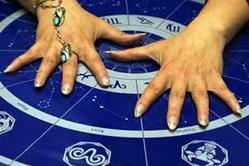 Changing ones behavior, whether he is far away from your place can be done using pendulum. For a marriage as well as partnership business, same wavelength of both partners are needed. Otherwise it makes many problems . This also can be eradicated using pendulum. Chakra work and pendulam work go hand in hand. 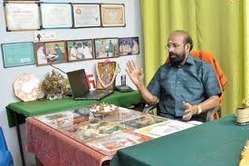 Effective counseling is given to students whose who are giving less attention to studies, married life problems, problems among the family life, mentally depressed persons, DE-addiction, etc. The pendulum is a valuable tool for testing just about anything. It can be used to focus your attention with regard to your questions, whether they be health-related (it's great for detecting allergies! ), aimed at judging the positive energy of a relationship or a place, dowsing, finding lost objects, solving the little mysteries of life, or any of the other things it would be handy to know. We suggest different kind of concrete solutions to your all kind of problems, like ‘Business Loss, Industrial Problems, House Related Problems, Married Life Problems, Marriage related problems, Placement related Problems, Mental Disorder, Mentally and Physically related problems, etc. and doing ‘Parihara Karma Poojas’ wherever is need. There are water flows underground. There will be a point where waterflows from two directions meet. If a home or any building is built above this point, it comes high negativity and comes tension, fear without any cause, problems one after other etc. This can be detected only using pendulum and then problem can be solved. We suggest and provide (if need) the appropriate Rudraksh according to your need. Training is given to boost up the confidence level and self awareness.